Poplar Healthcare » Chukwuma O. Onyeagocha, M.D. 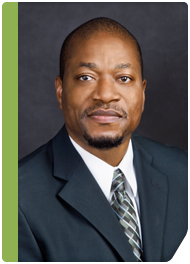 Dr. Onyeagocha received his medical degree from the University of Illinois College of Medicine, Chicago, and completed residency training in anatomic and clinical pathology at East Carolina University in Greenville, North Carolina. He also completed a two-year clinical/research fellowship in gastrointestinal and hepatopathology under the direction of Dr. Charles Parkos at Emory University. After his fellowship training, he served as a clinical instructor in the Department of Pathology at Emory University. Dr. Onyeagocha is a member of the American Society for Investigative Pathology, a fellow of the College of American Pathologists, a member of the American Society for Clinical Pathology and has published in the American Journal of Pathology. He joined GI Pathology as a staff pathologist in 2010.